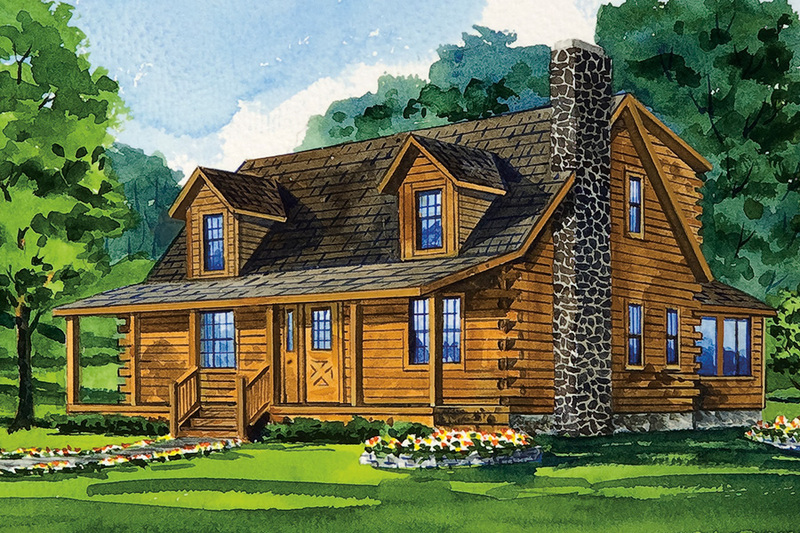 The McKay44 is a larger version of our popular McKay model. It is 44' across the front instead of 40' and expands each bedroom by 2'. 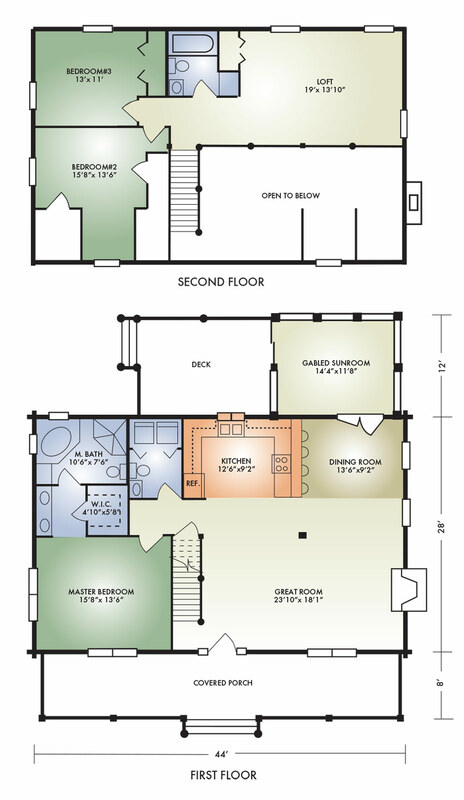 Other rooms are similarly enlarged. Like the original McKay, the "44" features the popular open-concept great room with exposed timbered ceiling and fireplace; kitchen with adjoining laundry and half-bath; and dining area opening to the rear sunroom with cathedral ceiling. The master bath includes a walk-in closet and master bath with room for a garden tub and shower. Upstairs, the open loft provides a dramatic view of the spacious great room below and can serve as an entertainment center or bonus room. In addition, there are two bedrooms and bath.